MAIDUGURI, Nigeria — Soldiers interrogating captured Boko Haram suspects have found one of the Chibok schoolgirls kidnapped by the extremist group nearly three years ago, along with her baby, Nigeria’s military said Thursday. Nearly 300 girls were kidnapped by the insurgents from a government boarding school in the remote northeastern town of Chibok in April 2014, a mass abduction that shocked the world and brought Boko Haram international attention. Most of the girls remain in captivity. In May, one girl escaped. In October, the government negotiated the release of 21 more. Another girl was freed in November in an army raid on an extremist camp in the Sambisa Forest. Army spokesman Col. Sani Kukasheka Usman identified the latest girl to be freed as Rakiya Abubakar and said she has a 6-month-old baby. He said her identity was discovered when soldiers were interrogating some of more than 1,000 suspects detained in recent weeks of army raids on the Sambisa Forest. The military released a photograph showing Abubakar with mournful eyes, her head covered by a white scarf, and clutching the baby wearing a white beanie cap. That raised questions about the whereabouts of the other Chibok girls, believed held in the forest. Some 196 remained missing before Thursday’s discovery, though some of the freed girls have said that several in their group have died from things like malaria and snakebite. Boko Haram leader Abubakar Shekau issued a video last week to contradict Buhari’s assertion that “the terrorists are on the run, and no longer have a place to hide.” Shekau declared that the war was just starting and urged his fighters to keep killing, bombing and abducting people. Nigeria’s government has been criticized over its treatment of the freed girls, who have been sequestered in Abuja, the capital, allegedly for trauma counseling and rehabilitation. The freed girls insisted on being taken to Chibok for Christmas, but they were kept in the home of a local legislator and prevented from attending Christmas service at their EYN Church of the Brethren, supposedly for security reasons. They were not reunited with their parents until the day after Christmas. Chibok is a small Christian enclave following a branch of the U.S.-based Brethren in mainly Muslim northern Nigeria. Many parents of the girls are translating the Bible into local languages. More than a dozen of the parents have died since their daughters were kidnapped, relatives say from stress-related illnesses. Nigeria’s government has said it continues to negotiate with Boko Haram for the release of all of the Chibok girls. But Chibok community leader Pogu Bitrus has told The Associated Press that more than 100 of the girls appear unwilling to leave their Boko Haram captors. He said the unwilling girls may have been radicalized or are ashamed to return home because they were forced to marry extremists and have babies. 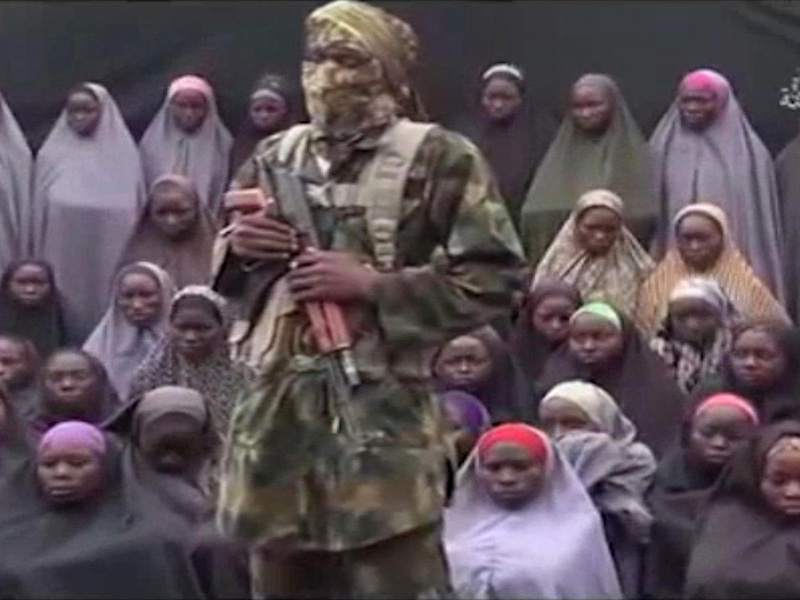 In captivity, Boko Haram forced the girls to convert to Islam and “married” many of them to fighters. There have been unverified reports that some were carried across borders into Cameroon and Niger and Shekau had threatened to sell some of them into slavery. Boko Haram’s seven-year Islamic uprising has killed more than 20,000 people, spread across Nigeria’s borders, forced. 2.6 million from their homes and created a massive humanitarian crisis in which the U.N. says 5.1 million people face starvation in northeast Nigeria. Hundreds of innocent victims have died in the hands of the military, Amnesty International has charged, including babies held with suspects detained in military raids on Boko Haram camps.